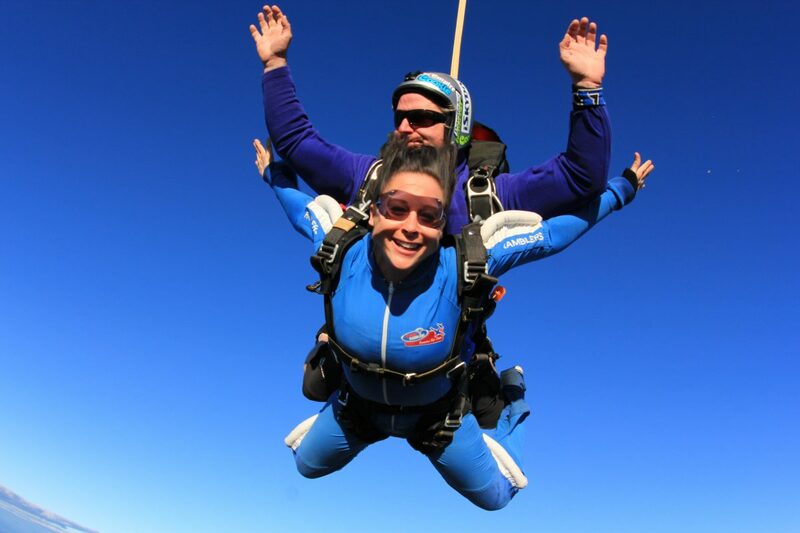 Capture Each Thrilling Second of Your Skydiving Adventure! 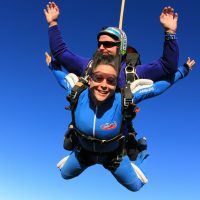 The only thing better than skydiving is sharing your amazing experience with your friends and family afterwards with high quality digital photos and video. 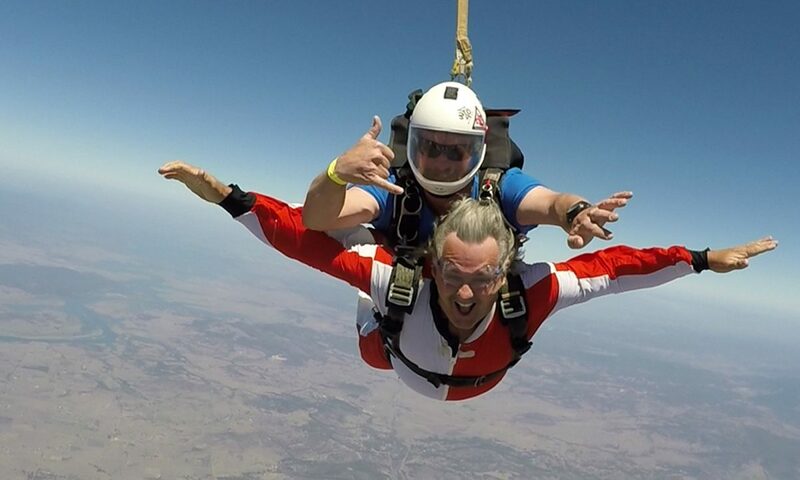 Skydive Ramblers offers a variety of media packages which allow you to capture the excitement of your tandem skydive. 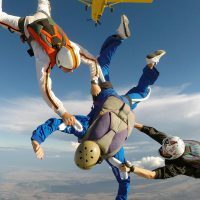 Our tandem skydiving video services offer both digital video and pictures of your skydive which you can easily share with your friends, family, and social networks. 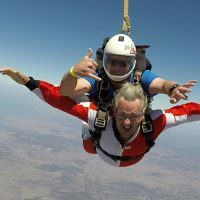 Read more about the different tandem skydiving media packages available at Skydive Ramblers below. Our highly experienced Camera Flyers jump with a videocamera attached to their helmet. 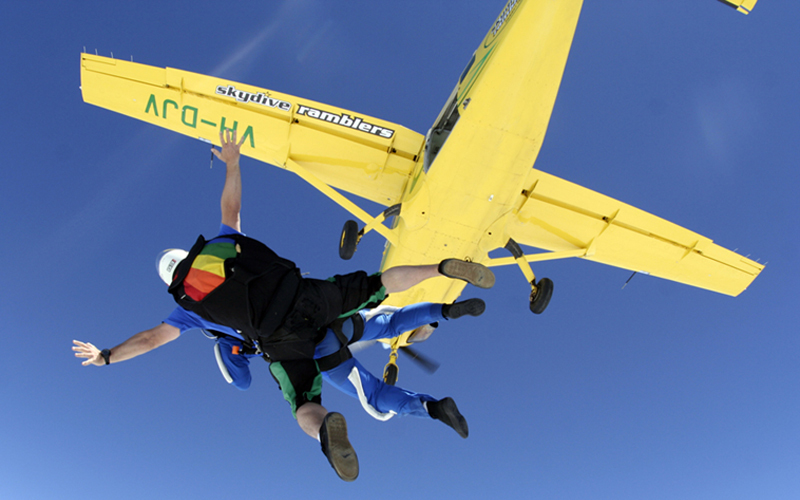 Your video will include footage of ground training, your spectator friends and family, take-off and ride to altitude. 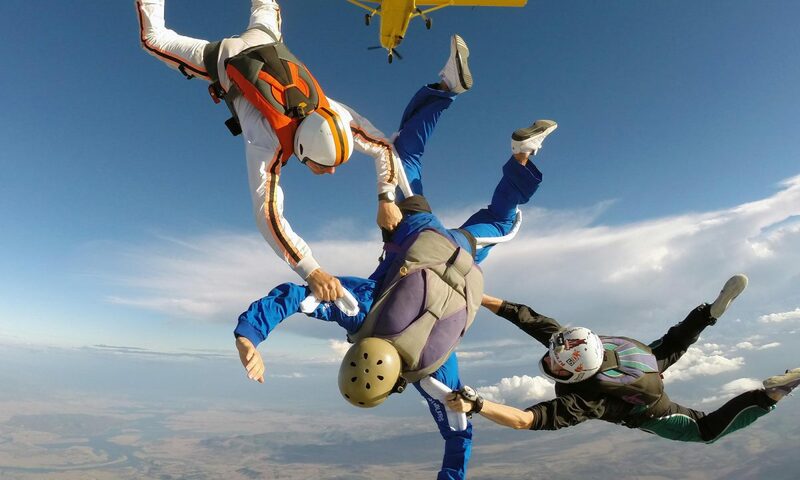 When it’s time to jump, your videographer will capture your exit from the plane, freefall, opening of the parachute, canopy ride and landing. The final product is an exciting 6 – 8 minute mini movie of your jump, digitally edited with modern effects and slow motion, dubbed to music. Our editors will process your video and save it to a DVD while you wait. ALL Ramblers Camera Flyers use the latest in digital video technology assuring you of a first class production and the best quality footage. 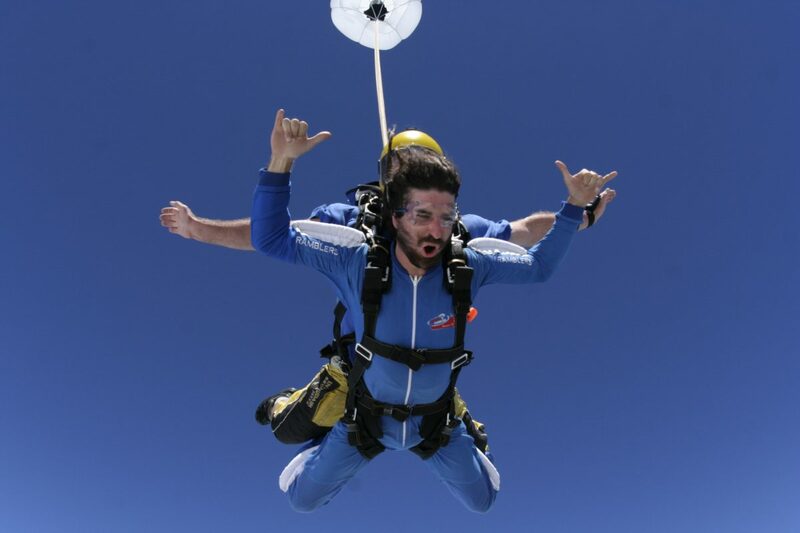 Have your own personal photoshoot at 14,000ft! 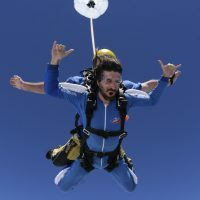 Our professional photographers will take a series of high quality, digital photos of your tandem skydiving adventure. Using the latest in digital photo technology, your photographer will capture the thrilling excitment of your jump so you can share the experience with your friends and family. Photos are presented on a CD so you can easily download and share with your entire social network! Get the best of both worlds and save money by selecting our digital video and photos package!